Unfortunately, we all experience hard times in our lives. Life hits us hard when we least expect it. You may be facing a divorce. Your home may have been hit by a tornado, earthquake or some other force of nature. You might have been stricken with an illness that keeps you from working or operating in your day-to-day life. Or maybe, the people around you are breaking off or looking to change their relationship with you. Change is an unstoppable force in all of our lives. Sometimes it hits us so hard and fast, it feels like our heads are constantly spinning. And when we’re not prepared for it, we feel victimized by forces that seem completely out of our hands. Change can be unpredictable, uncontrollable, and unacceptable. This we can’t stop. So, what can we do about change then? Change doesn’t have to be a problem. What most of us don’t recognize is that change offers each of us an opportunity to explore a different side of ourselves that had been long since forgotten. Change doesn’t have to be a problem. In fact, it can be an invitation to take new roads in life. When we don’t let change overcome us, we suddenly have the power to reveal a creative, inspired self that can manipulate change into a force for good. You might rediscover a lost bit of your soul, rekindle once-forsaken dreams or reactivate that driving creativity that once built your passions in life. These are all pieces of yourself (YOUR AUTHENTIC SELF!) that were left on the roadside as you grew up and established a daily routine. When faced with change, all of these personal traits get to come back. It’s up to you to move past the negativity behind the change and put these traits to good use! Change can be difficult. It can even be traumatic. However, it is NEVER the end. Most of us live our lives monotonously from day to day. We do what we can to get by and try to live happy lives. But we sometimes forget that we are capable of something more. That we have larger dreams and aspirations in life. Change is no different. Of course, it’s important to address your needs and make the necessary adjustments in your life when dealing with change. Depending on your life circumstance, change can be difficult. It can even be traumatic. However, it is NEVER the end. Take the time to meditate, pray, breathe, or do whatever helps bring you back to your center. Reflect on the situation and how it can grant you more opportunities rather than limitations. Above all else, don’t look at change as a punishment. It doesn’t have to be unfair or unjust. We understand that this can be tough to do because we instinctively want to focus on the negative consequences in life. We’ve been trained to observe all the bad things in the world that we forget about the good that comes with them. We’re all tempted to do this. Then we find ourselves getting frustrated with the hand we’ve been dealt. But it isn’t our only option. The sure thing about change is that it will shake up your life in unexpected ways. In a way, change offers you a second chance. You can either try to figure out a way to resolve the unwanted change to get back the life you settled for (or just happened to get along the way). Or, you can use this second chance to live life how you want to from now on. Change offers you a second chance. Ask yourself all these questions and more to really reflect your life up to this point. Take this seriously because change is a turning point—a chance to redirect your life in the direction you want to take it. You might have to use your imagination to find creative answers to some of these questions. Oftentimes, it’s best not to get hung up on the first answer that comes to mind and really look at the forking paths set before you. This exercise will help steer you in the right direction. Make sure you really reflect on your answers and see what opportunities this grants you. Another useful tool or strategy can be asking yourself out loud, “If I wasn’t afraid, I would…” Then you fill in the blank. This is where the real opportunity in change reveals itself. Because more than anything, fear holds us back from taking leaps in life that could lead to happier paths in life. And when you’re confronted with unwanted change, chances are you’re already dealing with the worst thing that can happen anyway, right? Everything can only go uphill from here. In that case, everything can only go uphill from here. It’s up to you to decide how far up the hill you want to go. If you find yourself facing unwanted change, I invite you to take good care of yourself. Meditate, relax, recover, and then remember who you really are. Move in that direction from this place forward. These exercises and tips are there to help build you a better bridge to happiness in times of hardships. Use change as a foothold in your life’s journey and self-discovery because this is what change is really about. 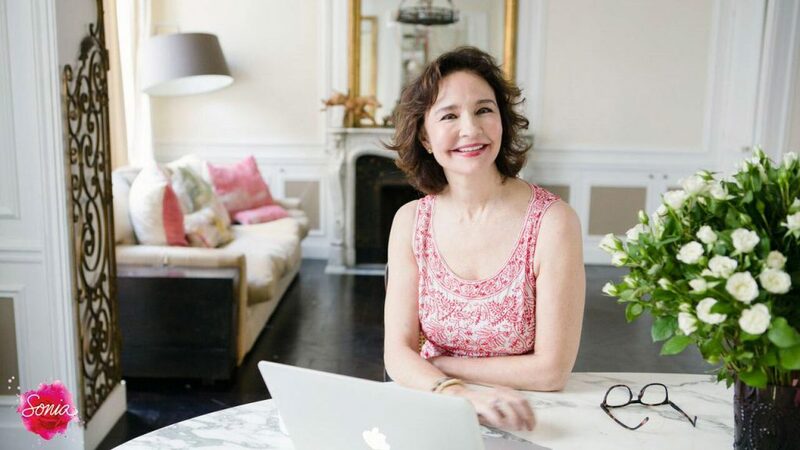 Sonia Choquette is a visionary author, spiritual teacher and intuitive personality who uses her skills to help people out of psychological and spiritual difficulties. Learn more about her story and find life tips and spiritual guides at www.soniachoquette.net.